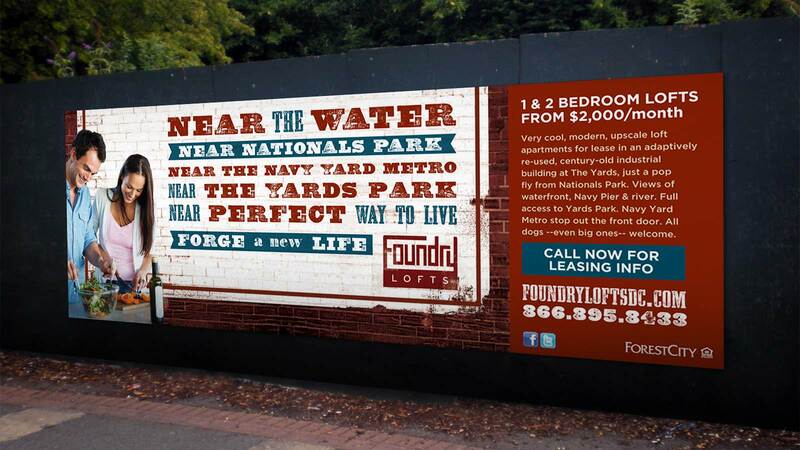 Named for the building’s original industrial functions, the Foundry Lofts — an exclusive, boutique community of 170 uniquely designed apartment homes at D.C.’s The Yards — needed help overcoming negative perceptions about neighborhood safety, limited parking space, higher rent with fewer amenities than its competitors, and a lack of walkable nightlife and grocery stores. Our team devised a brand story based on the building’s historic architecture and modern design, focusing on the adaptive and sustainable reuse of the space. We emphasized the unique and modern loft product, large floor plans, dog-friendly locale, and proximity to the baseball stadium, airport, and an exciting list of forthcoming new neighborhood establishments. 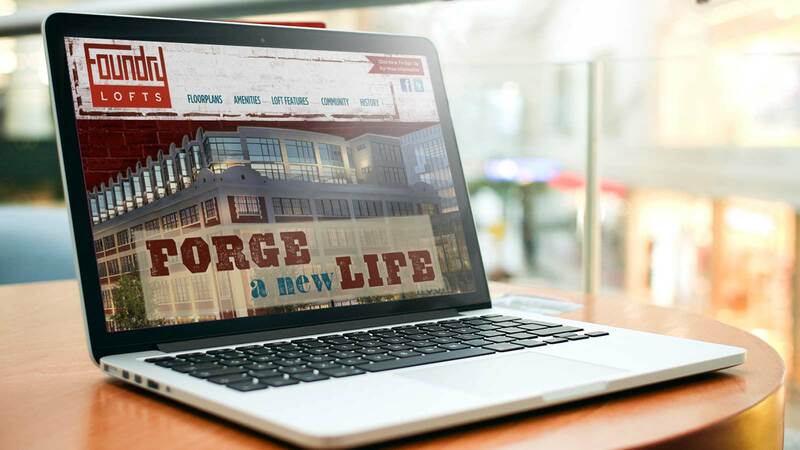 Our media strategy focused on a heavy online presence in local outlets and targeted industry websites to reach the desired demographic of young, diverse, single males, dual income couples, and neighborhood pioneers. 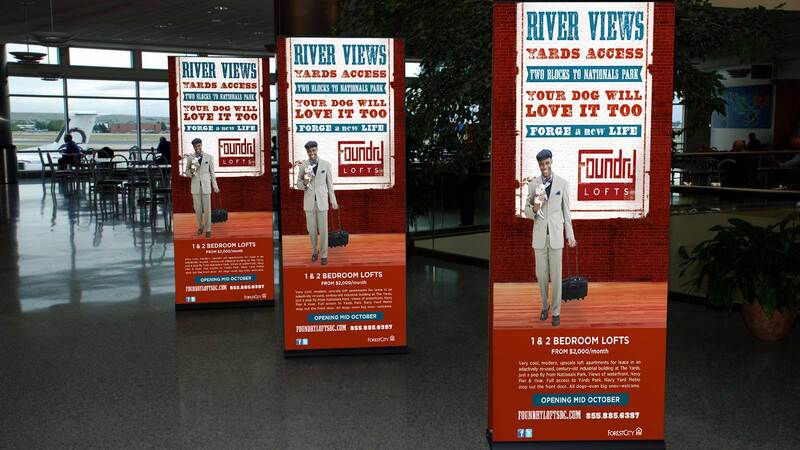 Simultaneously, our digital strategy leveraged social media sites to position the Foundry Lofts with community influencers as the best new place to live at the Capitol Waterfront, and our PR team developed a calendar of press release opportunities and pitches. Combined with events and cross promotions, our efforts had record-breaking results: The Foundry Lofts were fully leased in less than nine months.